This FDC was cancelled in Alor Setar. This FDC was cancelled in Ipoh. 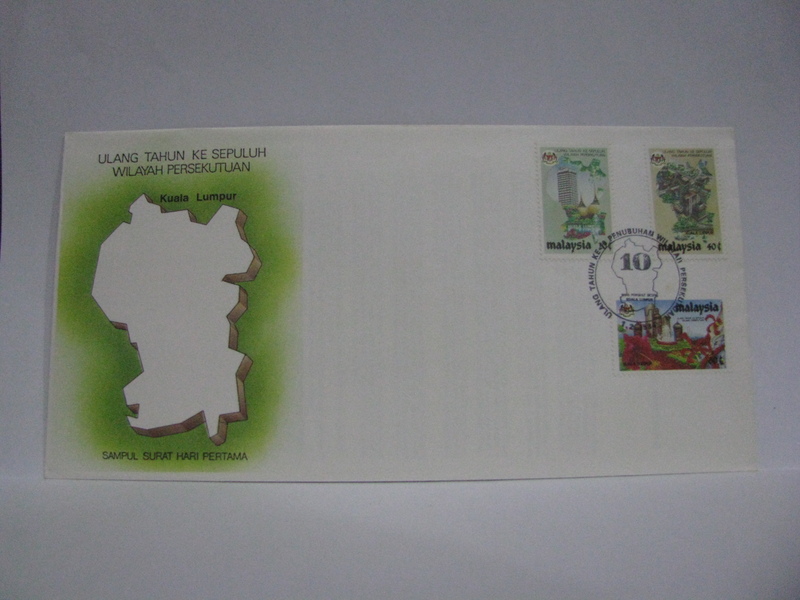 This FDC was cancelled in Alor Setar and Ipoh on the matching stamp. 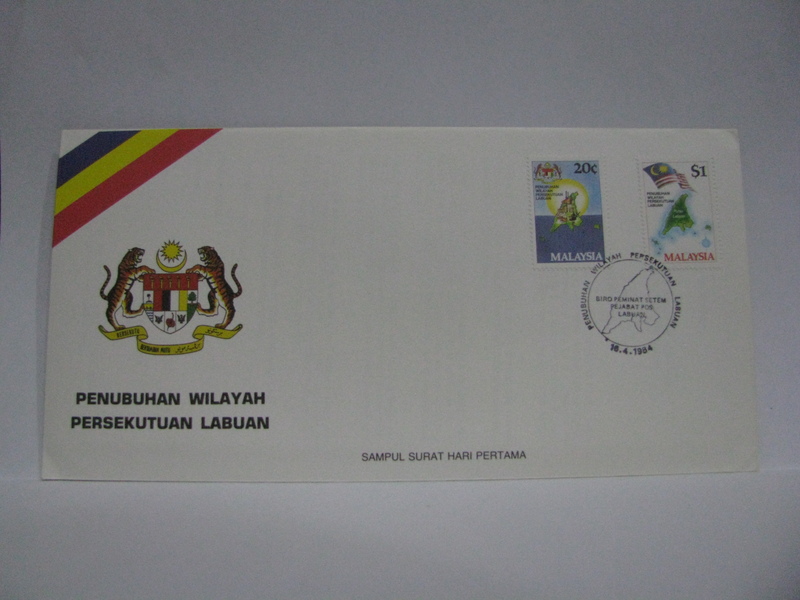 This FDC was cancelled in Labuan. 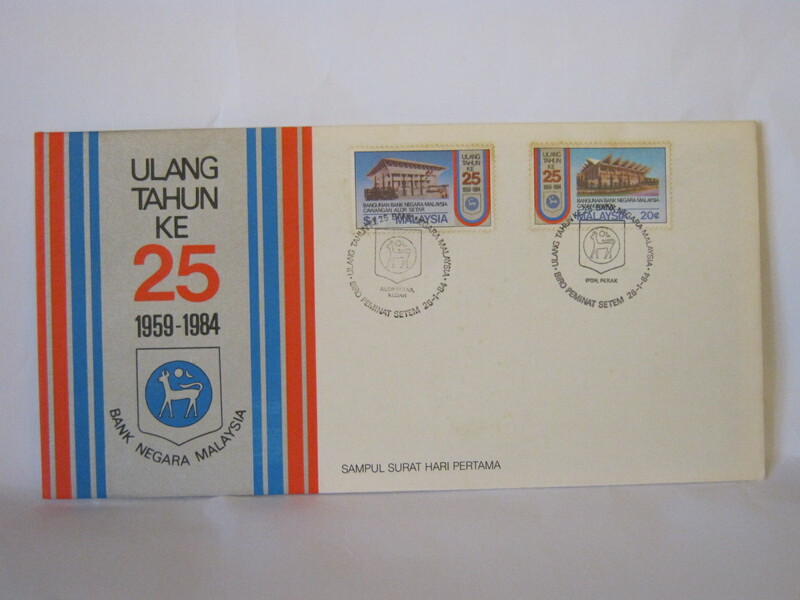 This FDC was cancelled in Johor Bahru. 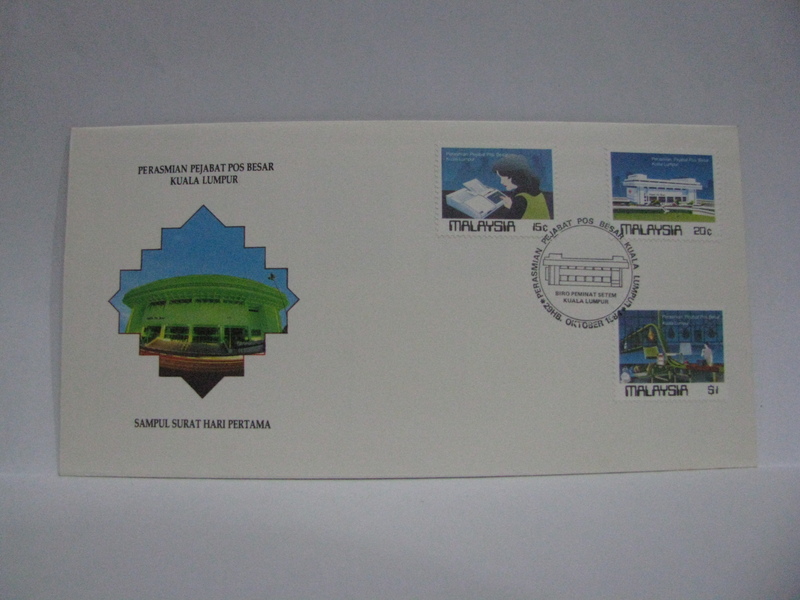 This FDC was cancelled in Tanjong Bungah (Cape of Flowers). what about asia pacific broadcasting union 23.06.1984. fdc . u have. I should have a spare but not Kuala Lumpur cancellation. Catalogue price is RM 7.00. I am okay with RM 7.00 inclusive registered postage to a Malaysian address. 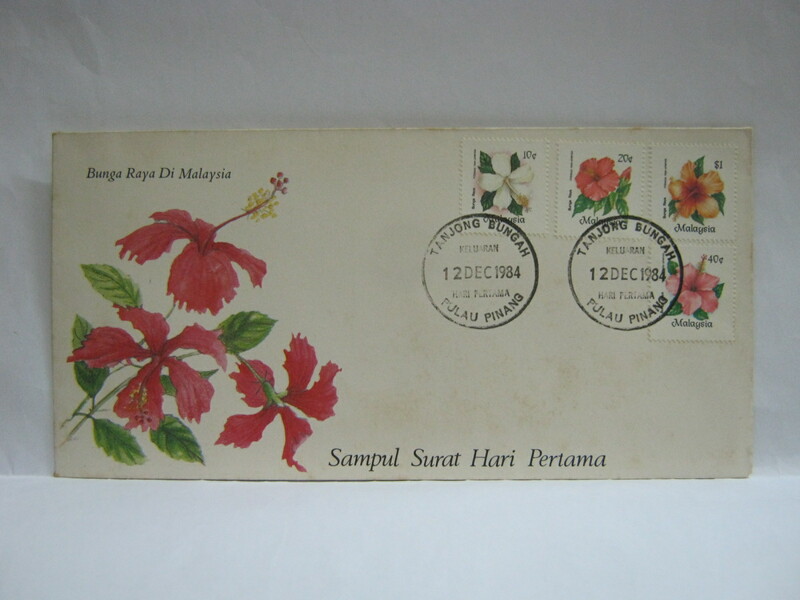 If you combine with any other items or items in eBay.com.my (sky52200 or myfdc52200) there will be no further postage. I need to search my cabinets first, I am currently away. 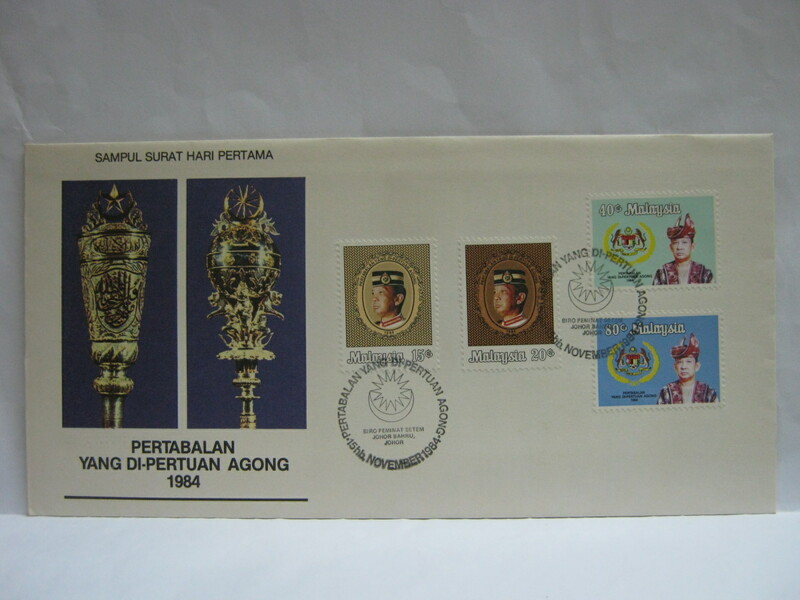 Hi, I also have a “15 November 1984: Installation of the Yang Di-Pertuan Agong” FDC in the same condition as in the photo on your site. 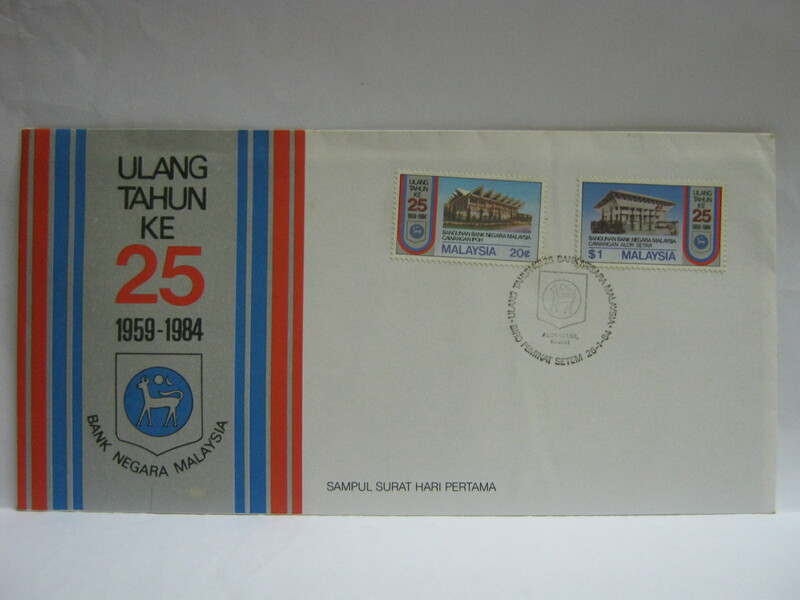 The 4 stamps are arranged in a square with the 2 landscape ones above the square ones. I would be interested if these have any value. 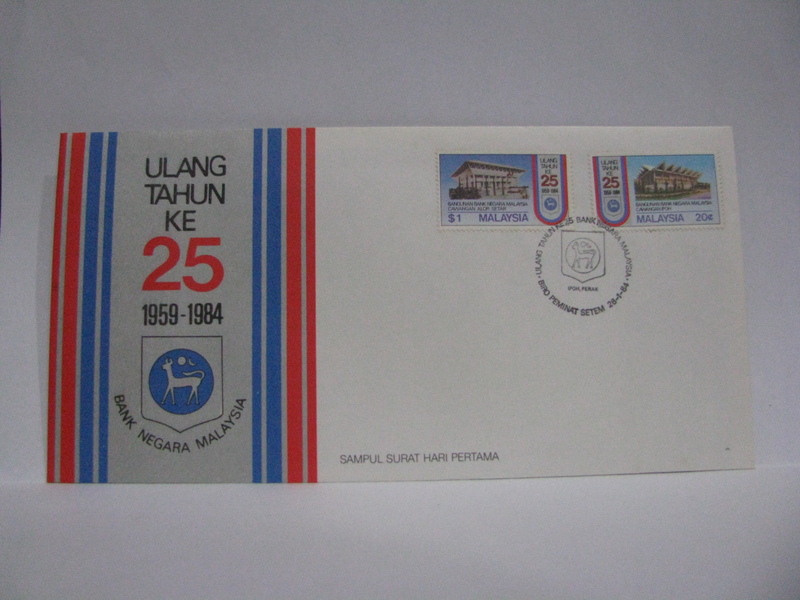 If the postmark is other Johor Bahru, the FDC probably will fetch RM 10.00 (about USD 2.25) or less (depending on the condition). Concordant postmarks are much harder to find. For concordancy, please refer to the descriptions in the website.